A sophisticated, elegant facetted eau de cologne. A unique composition that, starting from the traditional citrus and aromatic notes typical of an eau de cologne, expresses its unique olfactive personality through an innovative woody-leather accord. Absolutely masculine, elegant and timeless. 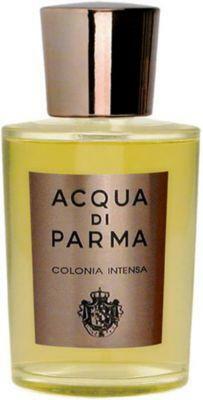 100ml Acqua di Parma Men's Colonia Intensa Eau de Cologne A great designer gift. Shop Acqua di Parma at Barneys New York. Acqua Di Parma Colonia Intensa Eau De Cologne 3.4 Oz. Acqua Di Parma Colonia Pura Eau De Cologne 3.4 Oz. Acqua Di Parma Colonia Club Eau De Cologne 3.4 Oz.